After three days at Hotel Accord, I was already sick of the food. It’s not that it was bad. On the contrary, they had served excellent meals. The problem is that I had to cycle after having all that food. I kept a Digene (Aluminium and Magnesium Hydroxide tablet) in my mouth and sucked it for he first ten minutes of my ride. I did not make yesterday’s mistake of bearing the cold with just my cycling jersey. The temperature was 7 degrees when we left. I wore my jacket and scarf. Still, the chill, and the constant drop-handle position made my fingers numb frequently. I got down from my bike at least thrice to warm them up and restore circulation. One last view of the Ooty tea estates. 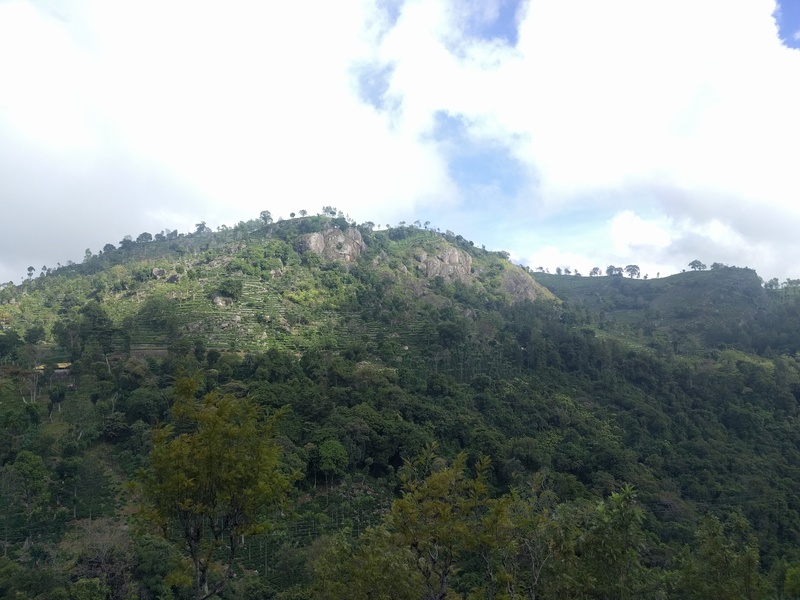 The descent was 52 kilometres long. Support station 1 was at the 30 km mark. I dropped off my warm clothes there just like everyone else. The support staff carried it to Palakkad. The rest 22 kms were chilly, too. However, we were warned that the temperatures would not be very kind once we hit the plains. Riders dropped their warm clothes at support station 1 and re-stuffed their pockets with food. The descend was very technical at times. Later, I came to know that there was a crash. During a turn, one of the riders missed a speed breaker and flew over his handlebar. I have seen a lot of people descending on the hoods and not on the drops. It is strictly discouraged. There were few who did not fold their turning-side leg inward while taking a descending turn. I kept safe distance from these guys. I did not want to crash into them in case they crashed in front of me. 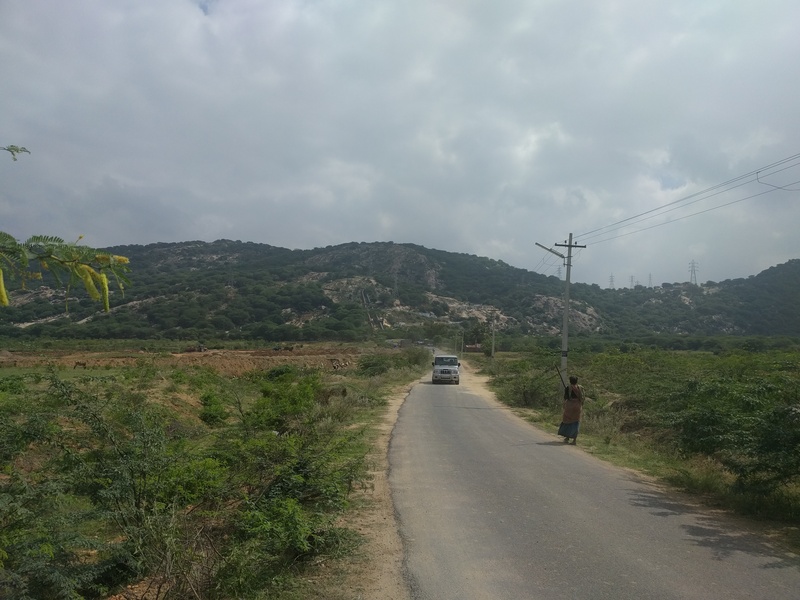 When we hit Mettupalyam, the heat caught up to us. I understood why the organisers had kept a drop-off point for the warm clothes. We cycled through beautiful back roads. The tarmac was excellent. The organisers had re-routed us via some other roads in order to beat the traffic. The painted road markers were very helpful. I was at support station 2 (also the lunch station) at 11:00 am. I stuck to one serving spoon of plain rice and one serving spoon of curd-rice. This has been optimal. Especially, if there is a climb ahead. I stuck to my strategy and did not waste any time. 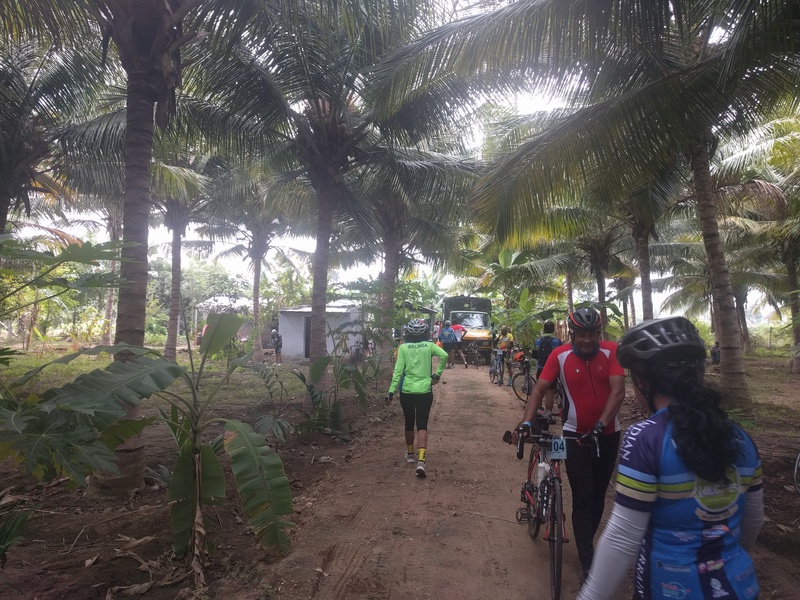 Our lunch station (support station 2) was inside a beautiful coconut plantation. And a climb waited for me right after lunch! Out of no where, there was a hill. It had 7-9% gradient for 2 kilometres. I struggled through and somehow emerged on the other side. This is the hill that challenged us after the lunch station. Manjeet (my roommate and 7th overall in his category) had caught up to me. There were no race segments today. Hence, it was a leisurely ride for him. I decided to pace with him. 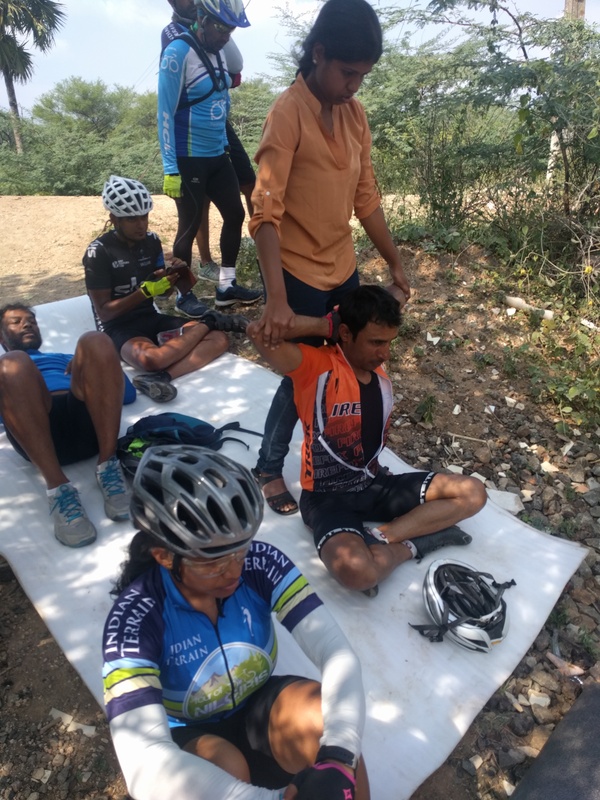 Even for a leisurely ride, this guy rode at 30 kmph on upward gradients! He was generous enough to drop his pace at times to let me catch up to him. My water bottles were nearly empty and I was about 15 kms from the service station 3. We stopped at a small shop and gulped down a soft drink each. I do not like soft drinks at all but at that moment, that was godsend. 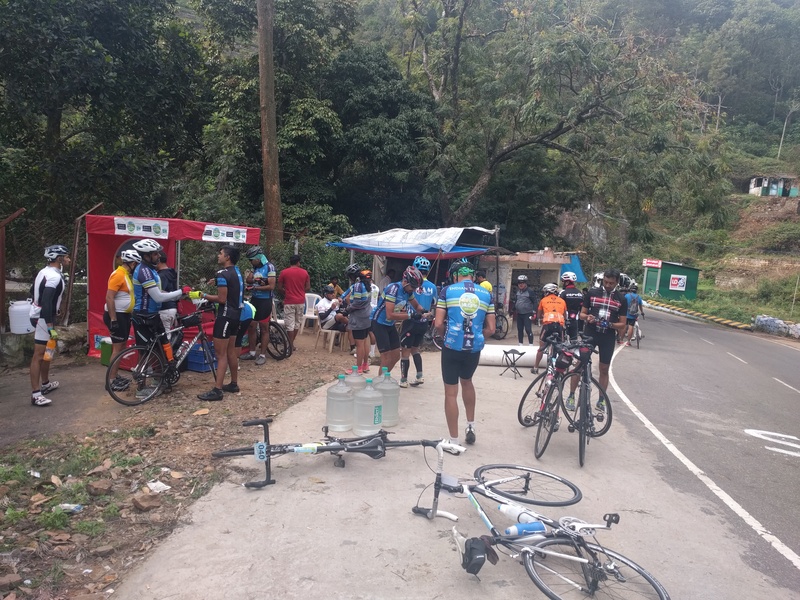 Few other riders also joined us for the break. Although the terrain was very-so-slightly downhill, the heat was draining us off. We reached quite early to support station 3. Manjeet waited for a physiotherapist. They had not reached the station yet. He needed some stretches. That guy has been riding a wrong size bike (a Trek Madone given to him by Firefox at the last minute – he’s a sponsored rider) and still killing it. Manjeet getting some stretches from one of the physiotherapists. Support station 4 was 33 kms from the hotel. It was adjacent to a coffee stall. I have no idea how some of the riders were able to drink any hot beverage. I drank some electrolytes from a Tetra-Pak and rode off with Manjeet. Manjeet wanted to take some photographs of himself. When I took my phone out of my pocket, the temperature read 35 degrees. From 7 degrees in the morning to 35 degrees in the afternoon – that’s some thermal shock! Since I was riding at a pace that was well above my usual limits, I constantly felt hot and thirsty. I kept drinking and spraying water on my neck and shoulders. At some point of time, I ran out of plain water. I started doing the same with the bottle that had electrolytes. Water with electrolytes is slightly sticky but in the heat, pouring any water on your body works. 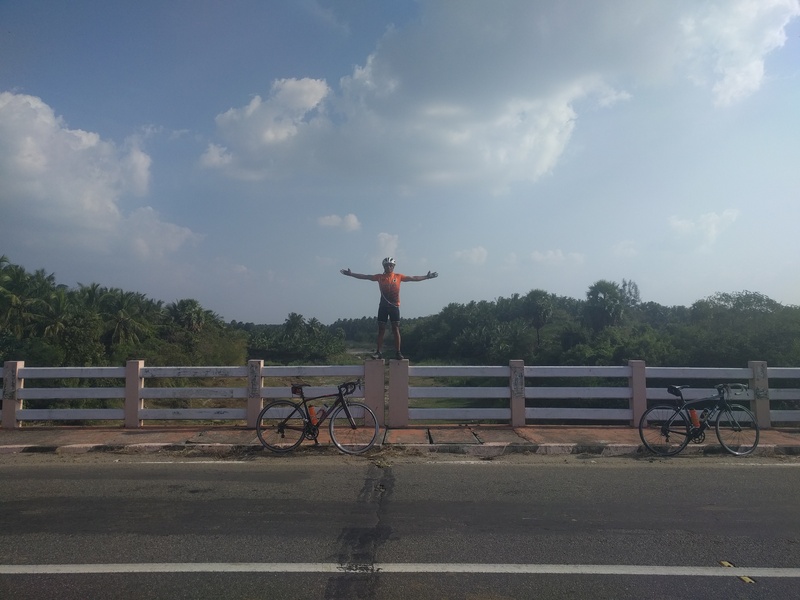 Manjeet posing on the railing of the bridge. 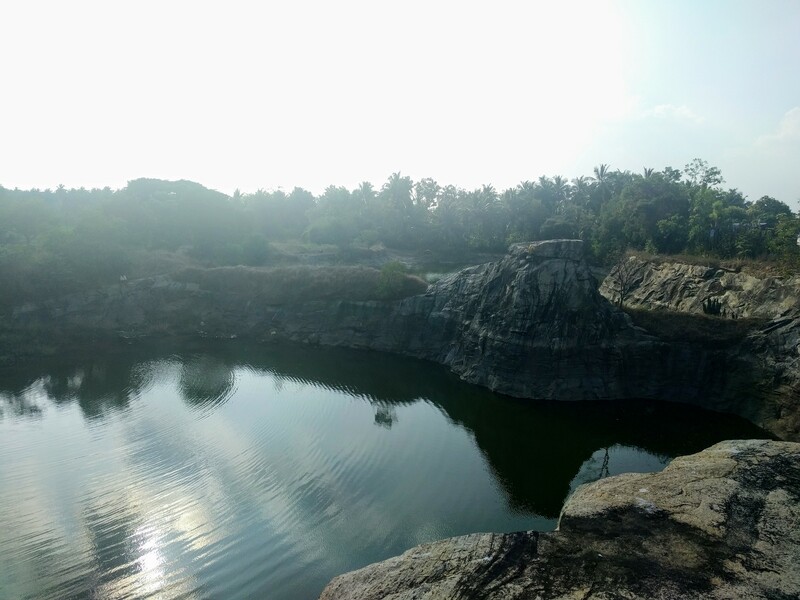 We stopped near this nice water body (about 5 kms from the hotel). I felt like jumping into the water. Manjeet increased his pace even more in the last two kilometres. His chain suddenly fell off the front derailleur. This caused him to lose his balance. His bike handling was excellent and he recovered without a fall. He escaped with a scratch below his knee due to the pedal.